GameSynth will be more than Tsugi’s procedural audio middleware. It will be an open platform for procedural audio and today we are proud to announce our first partnerships with Noise Makers and SDL. Noise Makers’ PANO (Procedural Ambient Noise Orchestra) will soon be available as a plug-in in GameSynth, giving you access to high-quality procedural generation of environmental sound effects such as wind, water and fire for your games and movies. The morphing pad of PANO’s user interface is a perfect match for GameSynth’s Procedural Audio SketchPad and allows for intricate yet fun sound design. SDL, founded by a former engineer from Yamaha Motors in Japan, will provide their exceptionally realistic vehicle engine synthesis, going much farther than the current granular-based methods, with many types of models available from sedan to Formula 1 and from motorcycle to heavy truck. 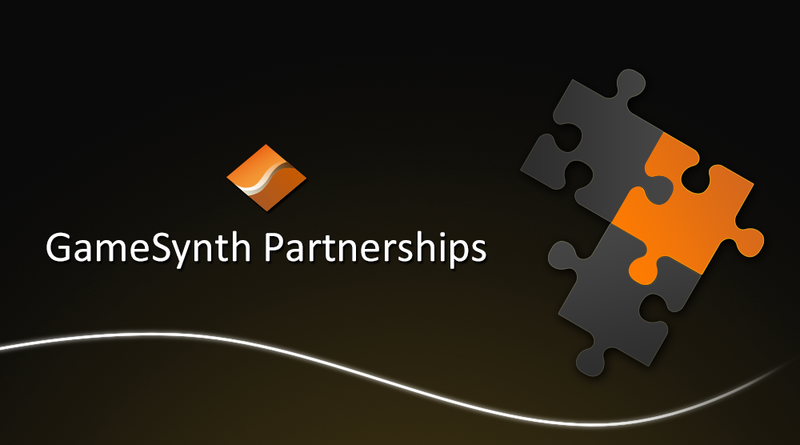 Both will integrate seamlessly with the GameSynth tool and run-time API. Like Tsugi’s own models, they will support GameSynth’s key concepts such as automatic random variations, meta-parameters, automation curves or procedural audio events. More than ever, the “learn one model, use them all” motto of GameSynth is alive! We are currently working with several other talented procedural audio companies and researchers and will soon announce other exciting partnerships. If you are interested in porting your existing procedural audio models or developing new ones for GameSynth, don’t hesitate to contact us at gamesynth@tsugi-studio.com. You will benefit from a thriving platform with a great user interface, extended real-time control possibilities, multi-platform support and an access to all major game studios worldwide.